The issues mentioned above can be resolved by simply restarting the Nintendo Switch™. Please restart the Nintendo Switch™ if you have encountered with the issues mentioned above. 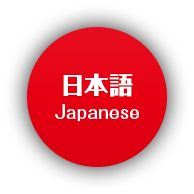 We apologize for the inconvinience caused. ※Please follow the steps accordingly. 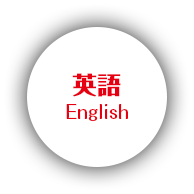 ① Press and hold the POWER Button down for at least three seconds to display the Power Menu. ② Select "Power Options" from the menu. 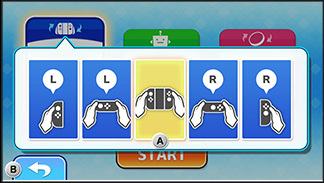 ③ Then, select "restart" to restart the Nintendo Switch™. Alternatively, you may select "turn off" to power down the Nintendo Switch™, then subsequently turn it on again. If the problem persists, please contact us via the information below. thank you for your continued support for Arc System Works. 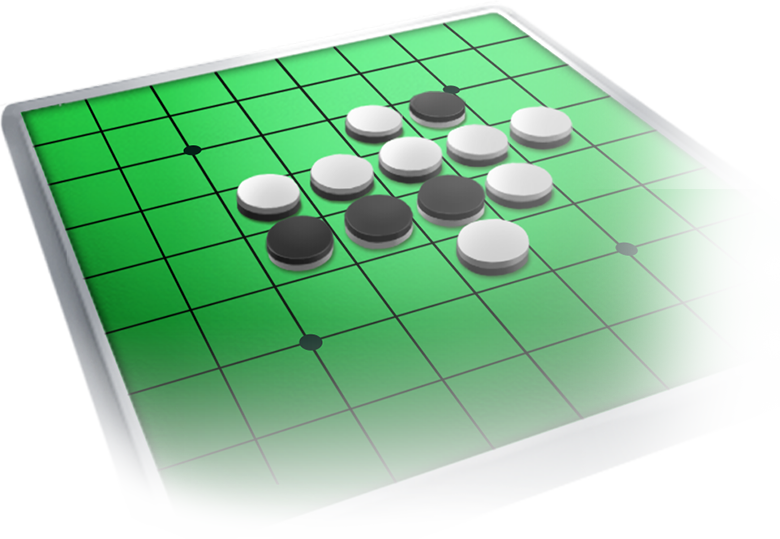 Othello is a simple game that all can enjoy. It is easy to learn but hard to master. Even after 40 years since it first began, Othello continues to withstand the test of time and to be loved by players of all ages. 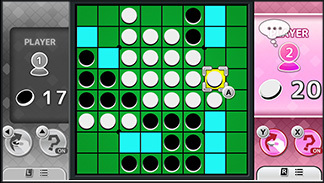 In Othello, players take turns to place their disks; Black represents the first player while white represents the second. Place each disk by sandwiching it with the opponent's thus converting them to your own. The player with the most number of disks in the end of the game wins. 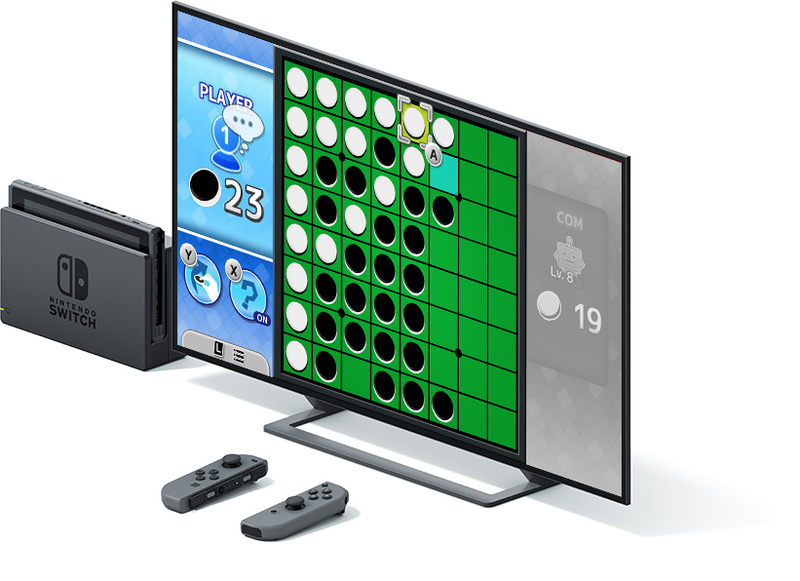 Othello for the Nintendo Switch is designed for up to 2 players, from beginners to all-time players. 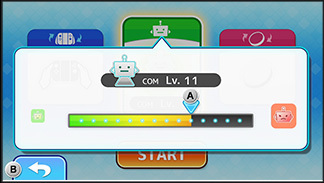 For single player mode, the game provides a spectrum of difficulty level from 1 to 16 for players to choose from. 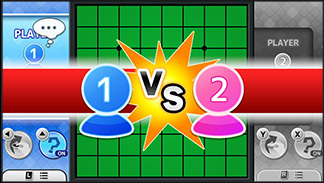 The game provides a hint feature, whereby players could display the next possible moves. In addition, do-over feature allows players to retrace their last move. New comers could pick up the game with ease! Detach the Joy-con and share it with your friends or family. Have fun in the 2 player mode! The trademarks OTHELLO? and A MINUTE TO LEARN… A LIFETIME TO MASTER? are owned and licensed by MegaHouse Corp.
© MegaHouse Corp. All rights reserved.